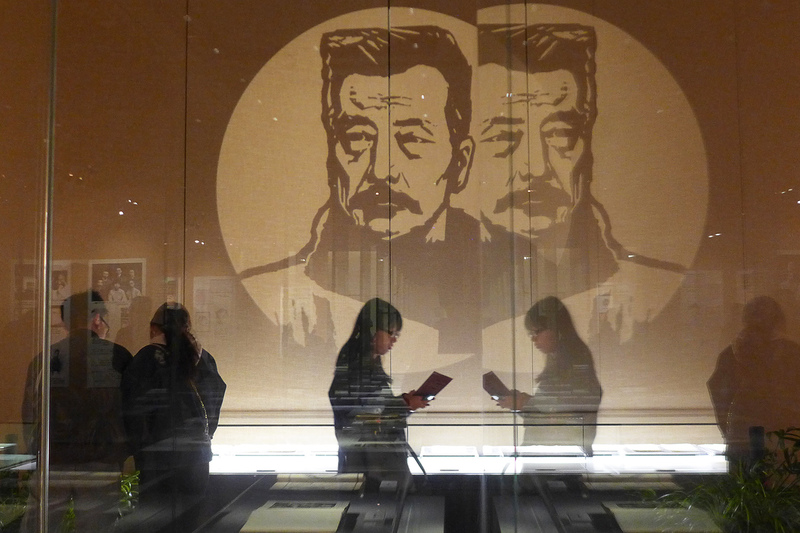 Visitors attend the exhibition of ‘The Reading Life of Lu Xun’ at the Lu Xun Museum in Shanghai, April 3, 2017. Harvard University Press, 329 pp. Belknap Press/Harvard University Press, 1,001 pp. This article was first published in the November 23, 2017 issue of The New York Review of Books. For those who encountered Lu Xun in the 1970s (I studied his essays under the noted Lu Xun specialist Wu Huanzhang at Shanghai’s Fudan University in 1975), the cover art used for Jottings Under Lamplight unfortunately casts a writer whose genius gave voice to the contradictions of his age in the one-dimensional light of revolution. It shows Lu Xun in a celebrated 1972 oil painting by Tang Xiaoming titled Never Cease Fire. He appears with jaw clenched, eyes glaring to the right (of course), pen poised for combat. This painting featured in the commemorative stamps issued on the 40th anniversary of his death in 1976. It recalls Mao’s 1940 affirmation of Lu Xun as “the chief commander of China’s cultural revolution, he was not only a great man of letters but a great thinker and revolutionary . . . a hero without parallel in our history.” It’s been over 40 years since I first saw that image; it still sends a chill up my spine.